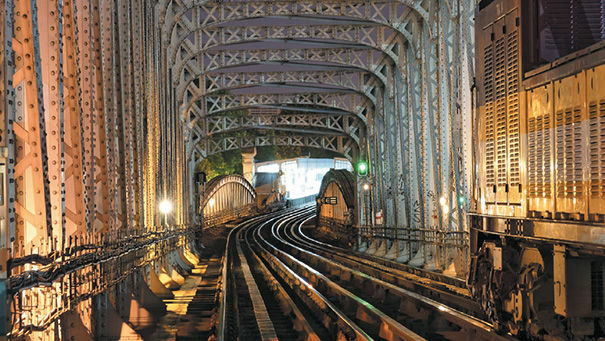 RATP has been chosen by the legislator as infrastructure manager of the metro network and RER lines operated by RATP. RATP has also been assigned with the technical management of the future infrastructures of Grand Paris. We are responsible for the maintenance and renewal of the existing infrastructures and the infrastructures of the future Grand Paris network, ensuring that the conditions of safety, interoperability and public service continuity are maintained at all times. 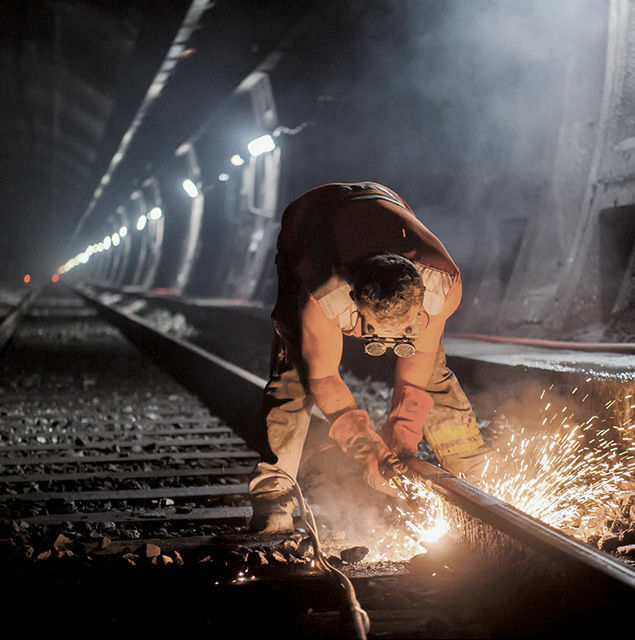 Manages the infrastructure of the historic network in Ile-de-France: development, adaptation, maintenance and renewal of the infrastructure for lines, structures and installations. It also handles the technical management, monitoring, maintenance and repairs necessary for the operation and security of the network. Nighttime heritage visit on a work train's elevating platform on the Austerlitz viaduct.